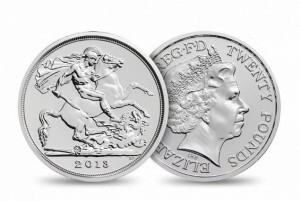 A fine silver £20 coin 2013 with the famous design of St George and the Dragon. 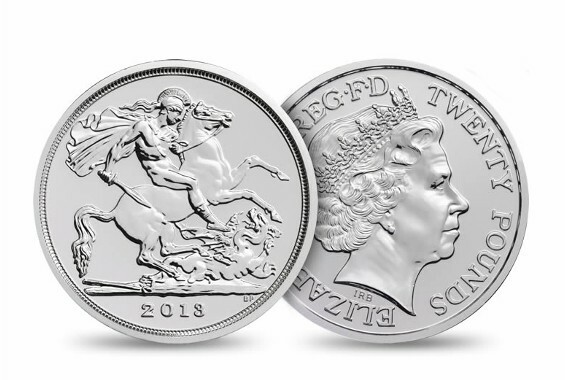 The first ever UK £20 coin. Limited issue in 999/1000 pure silver. Issue Limit 250,000. Weight 15.71g. Diameter 27mm. Quality Brilliant Uncirculated. This entry was posted in World Coins, World Coins Silver and tagged 2013, BU, Great Britain, Silver by Electa. Bookmark the permalink.